I love the start of a new year because I’m a big fan of making resolutions. During the first week of January everything seems possible because I have a whole year to accomplish something. In addition to making general resolutions (i.e., spend more time at the gym), I also make sewing resolutions as a way to motivate myself to gain new skills and broaden my sewing repertoire. 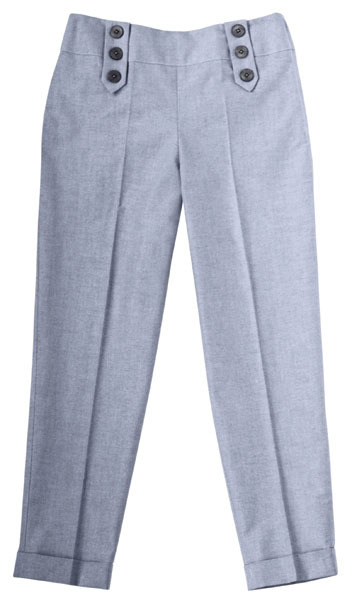 1.Sew the perfect pair of pants – This is the year that I’m going to get over my pant fitting phobia and make an awesome pair of pants. The Portfolio pant pattern is already on my list. 2.Sew from my collection of vintage patterns – A couple years ago I inherited my grandmother’s extensive vintage pattern collection that includes patterns from the 1940’s to the 1980’s. The patterns will require some fitting alterations to work for me so I always put off making them, but this is the year I pull them out and sew a few of them up in contemporary fabrics. It will be a great way to hone my pattern alteration skills. 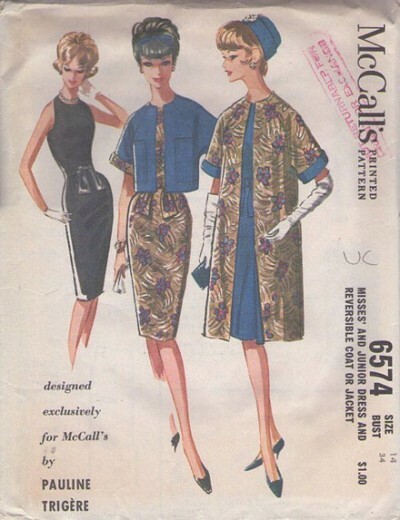 I can’t wait to make this Pauline Trigere pattern for spring. 3. Make a quilt – I’ve always been primarily an apparel sewer but this year I’m going to break out of my comfort zone and make a full-size modern quilt. It will be a great way to use up my fabric stash and learn some new techniques. 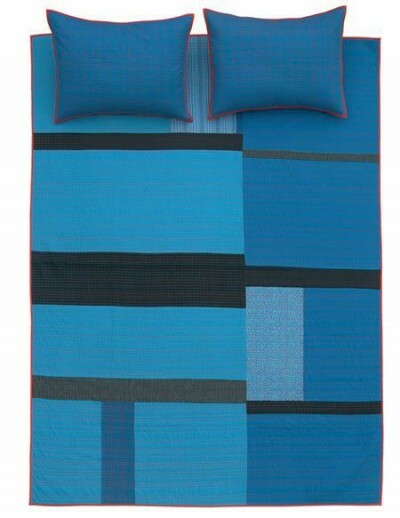 This quilt by Denyse Schmidt is exactly the inspiration I need to get motivated! Whew! Okay that’s pretty ambitious, but I have a whole year, right! What are your sewing goals for 2012? Let us know in the comments. This is the year to learn something new and get creative! I hope you’ll do some blog posts on fitting the vintage patterns! I inherited quite a few myself and need to make them smaller, which is something I’ve never had to do before! I’ve found a few resources online but I’d love to read more about it. I’d love to see some posts on fitting pants. I’ve only just started making pants – I got over my pant sewing phobia with the portfolio pants pattern and now I’ve started making trousers for work. A collared long sleeve basic shirt would be great too! Pants!!! They are the final frontier for me. I want a pattern like the pants Liesl is wearing in the next post.